Juan Manuel Fangio completed his sixth win of the season - his fourth for Mercedes - at the Italian Grand Prix, but the headlines centred on Stirling Moss who had seemed set for a remarkable win until mechanical problems struck. It summed up Moss' season - impressive in qualifying, there or thereabouts in the race and ultimately let down by his car. 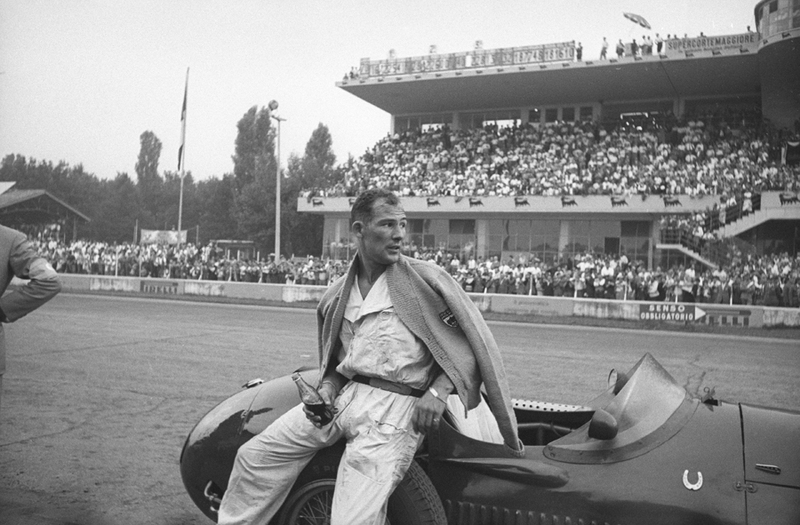 At Monza his luck appeared to have changed as he led the field for the first time, was forced to pit, and then rejoining the race 22 seconds behind Fangio, ate away at the champion's lead before his engine died on the final lap. Unbowed, he climbed out of the Maserati and, to wild cheering, pushed the car over the finishing line. He was in exalted company at the front of the grid, alongside a brace of double champions, Fangio and Alberto Ascari. But Fangio's team-mate Karl Kling set the early pace before falling back and eventually crashing, and then Fangio and Ascari traded the lead until Moss took over of the 45th lap. Ascari fought back, Moss again overtook him, and when Ascari's borrowed Ferrari packed in on the 49th lap, it became a two-horse race until Moss' problems left Fangio clear. Mike Hawthorn took second for Ferrari.